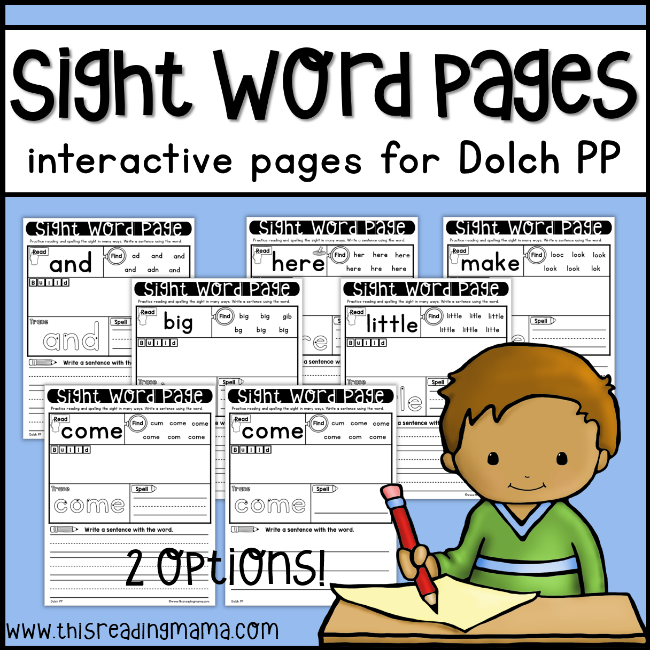 These Dolch Pre-Primer Sight Word Pages help learners practice those beginning sight words in multiple ways including reading, finding, building, tracing, spelling, and writing it in a sentence! 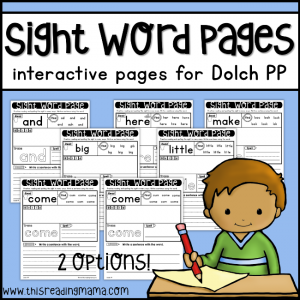 These Dolch Pre-Primer sight word practice pages are an interactive way for learners to build fluency with sight words. 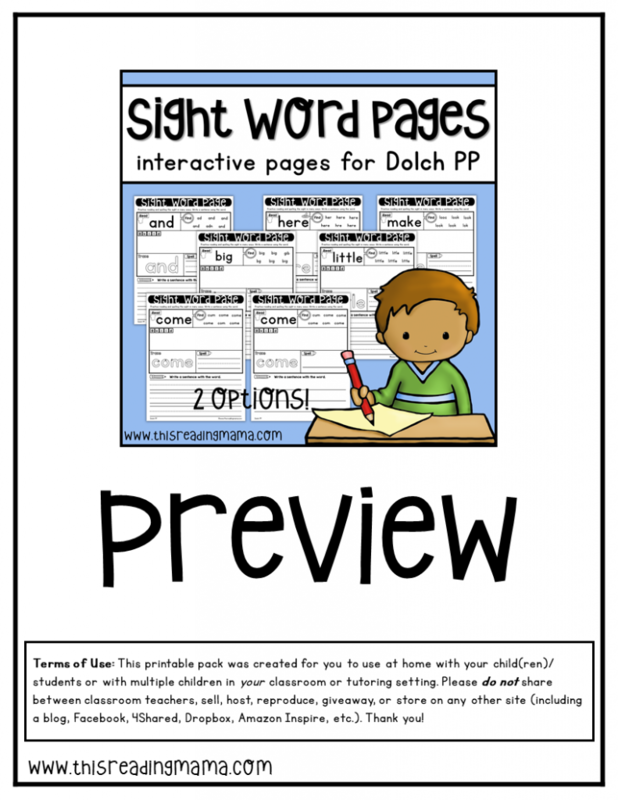 This individual pack includes words from the Dolch Pre-Primer word list. You can get even more goodies with our DOLCH BUNDLE PACK. 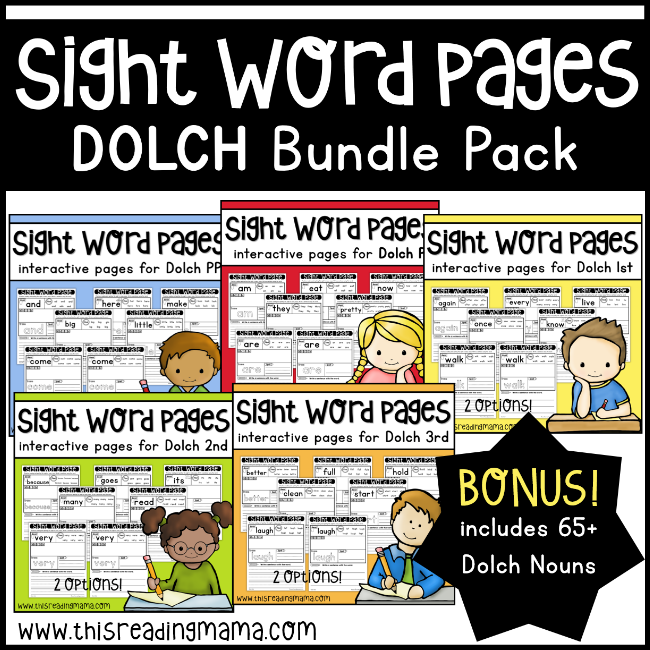 It includes all PP-3rd Dolch sight words PLUS 65+ Dolch Nouns and Editable pages not found in our individual packs! 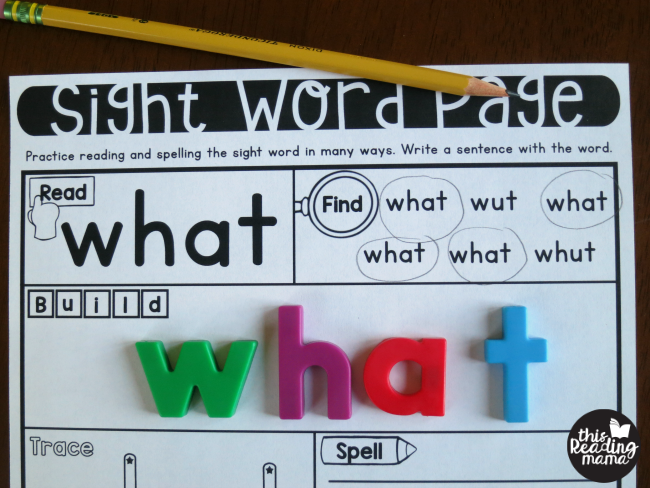 All sight word pages are included with the triple handwriting lines or single lines. Click HERE FOR THE PREVIEW.